This exciting tale of two girls in Darwin at the outbreak of World War Two is engrossing. 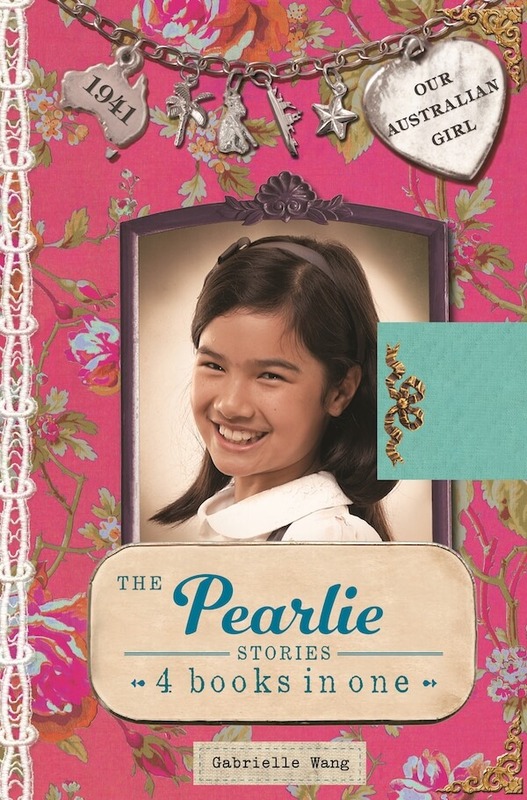 This is the gorgeous bind up for the Pearlie books. All four novels: Meet Pearlie, Pearlie’s Pet Rescue, Pearlie the Spy and Pearlie’s Ghost are together in the one book. Plus I have written a new chapter. During World War Two Australia was bombed by Japan. It began in Darwin on February 19th, 1942 when 188 Japanese planes launched their attack. Many soldiers and civilians were killed. It was the largest Japanese attack since Pearl Harbour, 7 December 1941 and the first time that war had come to the shores of Australia. After Darwin, other cities followed like Broome and Townsville. Most of the 1066 women and 900 children evacuated Darwin by sea. Others left by road, plane and train. If you are curious to know what happens to Pearlie at the end of book 4 then reading this hard cover bind up book is a must. Pearlie is quiet and not very brave. She likes to read and write. She’s scared of heights and of the dark. She loves animals. Pearlie is a little like I was when I was a child except I used to draw all the time. I have always loved animals. War is always a horrible thing. It separates families and friends. It destroys places and changes people. If I had an Aladdin’s lamp and could be granted just one wish – it would be that there would be no wars in the world.